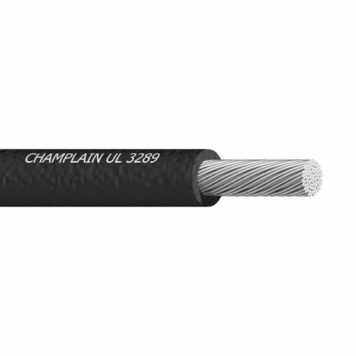 Exar® 125 ZH is a Halogen-Free 125°C UL 600V rated lead wire. Exar 125 ZH is a high-performing irradiation cross-linked polymeric insulation. This Halogen free lead wire is perfect for use in countries or applications which require halogen free wire. Exar 125 ZH wire possesses excellent mechanical and electrical properties. Exar® is known for its unparalleled thermal stability, toughness and abrasion resistance. It is compatible with all magnet wire and most varnishes. Irradiation cross-linking assures this insulation will not melt or flow at soldering temperatures. Exar 125 ZH processes very well on automated high speed cut and strip equipment.